The Robotics track welcomes research contributions in the general areas of planning and scheduling (P&S), which relate to the advancement of intelligent robots. 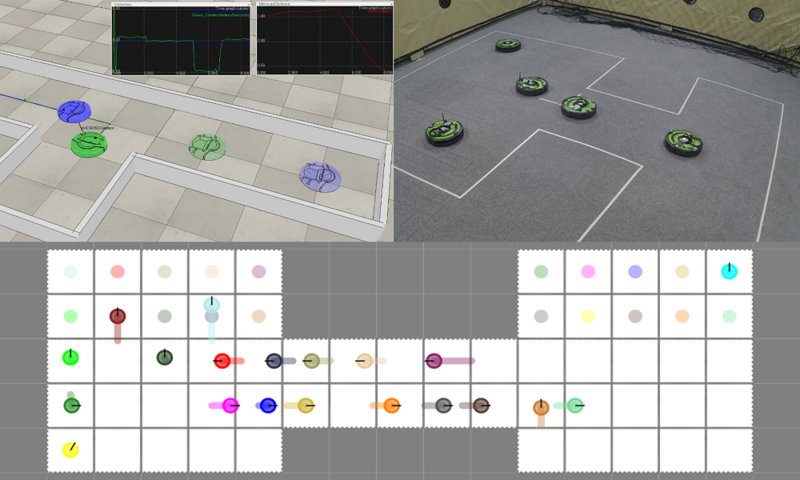 P&S models and techniques are important for enabling autonomous, flexible, and interactive behaviors in robotic systems. A deep integration of these methods into robotic architectures can assist their effective deployment. In this direction, the ICAPS-2019 Robotics track provides an opportunity for the planning and robotics communities to share research progress in the area of robot planning and showcase the use of planning and scheduling technology in robotics applications. Submission of papers that have been demonstrated on actual robotic systems or those that focus on impacting real-world application domains (e.g. logistics, transportation, manufacturing, etc.) are specifically encouraged. Authors may submit long papers (8 pages plus up to one page of references) or short papers (4 pages plus up to one page of references). The type of paper must be indicated at submission time. Both long and short papers will be reviewed against the standard criteria of relevance, originality, significance, clarity and soundness, and are expected to meet the high standards set by ICAPS. Short papers may be of narrower scope. For example, they can either address a highly specific issue, or propose/evaluate a small, yet important, extension of previous work or a new idea. Authors making multiple submissions must ensure that each submission has significant unique content. Papers submitted to ICAPS 2019 may not be submitted to other conferences or journals during the ICAPS 2019 review period, nor may be already under review or published in other conferences or journals. Over-length papers will be rejected without review. In addition to the submitted PDF paper, authors can submit supplementary material (videos, technical proofs, additional experimental results) for their paper. Please make sure that the supporting material is also anonymized. Papers should be self-contained; reviewers are encouraged, but not obligated, to consider supporting material in their decision. The proceedings will be published by AAAI Press. All accepted papers will be published in the main conference proceedings and will be presented orally at the conference (full papers will be allocated more time). The reference time-zone for all deadlines is UTC-12. That is, as long as there is still some place anywhere in the world where the deadline has not yet passed, you are on time!